internationalization of the Country, the Ministry of Foreign Affairs and International Cooperation-Directorate General for Cultural and Economic Promotion and Innovation, ITA–Italian Trade Agency, and Uni-Italia, with the support of Unioncamere (Italian Chambers of Commerce), and Confindustria (Confederation of Italian Industries), will award scholarships for the academic year 2018-2019 in favor of international students interested in attending higher education courses in Italy in the framework of the Program “ Invest Your Talent in Italy”. Scholarships are awarded for courses of Master’s degree ( Laurea magistrale or Master universitario) at Italian Higher Education Institutes (state-owned institutions or institutions legally recognized by the relevant state authorities) partners of the Invest Your Talent in Italy Program. The program includes the attendance of a mandatory internship at selected Italian companies partners of the initiative. 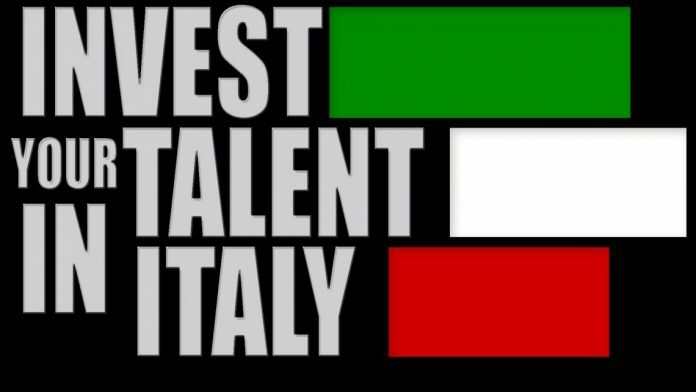 make a working experience at selected Italian companies, partners of Invest Your Talent in Italy. required academic qualifications (Bachelor’s Degree) to enroll in the chosen Master’s degree Program (Laurea Magistrale or Master Universitario). Candidates may apply if they are no more than 28 years old on the deadline of this call, except for the only renewals. Candidates should submit an English language certificate as proof of their proficiency in English. Candidates should hold at least a B2 level certificate within the Common European Framework of Reference for Languages (CEFR). Proof of proficiency in Italian is not mandatory but will be taken in consideration in the selection process. The scholarship will cover a period of study of 9 (nine) months starting from October 1, 2018. Students will receive the instalment every three months. Applications must be submitted from December 18, 2017, to February 28, 2018 at midday (Italian time). One or more Reference Letters written by a Tutor/Professor/Employer. Reference Letters must be addressed to the University or to the Invest Your Talent in Italy Technical Committee, properly dated and signed. The candidatures will be examined and evaluated by a Technical Committee composed by representatives of the Italian Ministry of Foreign Affairs and International Cooperation, the Italian Trade Agency and Uni-Italia. Grantees will receive 888 euros monthly a llowance every three months on their Italian bank account. The last installment of the scholarship can only be received after verification of conditions established under Article 6.2 of this Call. The scholarship only covers courses attended in Italy.